Wow... That picture has its pixels all in a knot. I'm sure there is a hidden message there somewhere but obviously, the pin head is Mad as a Hatter - lol. He has great taste in music though, I know those songs and they carry great meaning. Knowledge may be required to get to the bottom of this pile of poo. You cannot know what is known by the knower unless they make it known unto you. How can they make it known unto you, if you are not seeking knowledge? Why would they make it known unto you, if you do not prove yourself trustworthy to use the knowledge in a benevolent way? How can you KLEENE a clock, when you don't know your ticks from your tocks? IFF protocols in play. 3VL must reduce to binary in order to process in a settled state. Unknowns are ugly and we know there is only the good, the bad, and the ugly. Who determines your qubits? Is it God or Satan? If you don't know then your paradoxes are self-imposed. 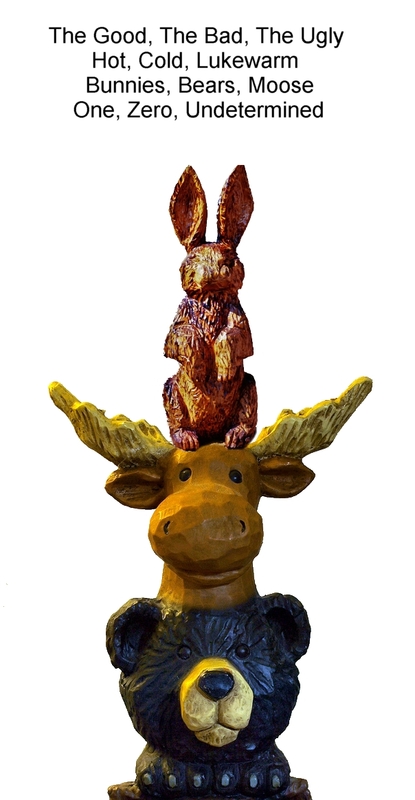 Fuzzy logic was a moose, fuzzy logic cooked his goose, fuzzy logic wasn't so fuzzy was he?